This late 19th century platinum gold, ruby, sapphire, and diamond brooch can be viewed in Tiffany & Co’s CityCenterDC archival exhibition. Photos courtesy of Tiffany & Co. The new Tiffany & Co. store at CityCenterDC boasts the company’s trademark blue décor, luxury home accessories, and private sales rooms. And through April, it also includes an exhibit about Tiffany’s history with the US government and Washington’s political elite. 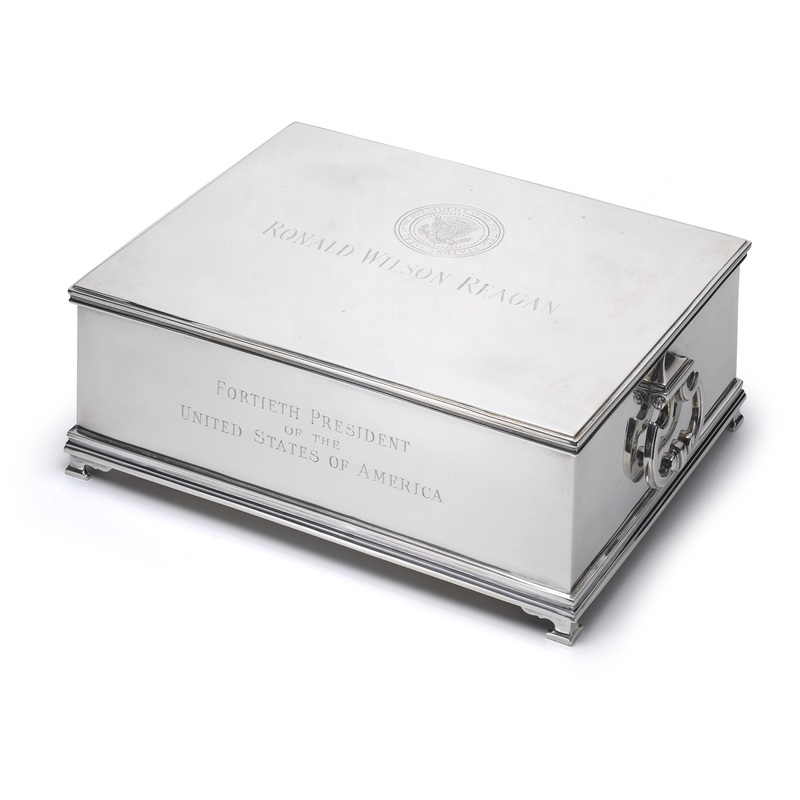 This cross between a music box and a humidor was given to Ronald Reagan by his friend Robert Gray to mark his 1980 election. “Hail to the Chief” plays when the lid is lifted. The Reagan family and administration would return to Tiffany’s a number of times, including for a presentation centerpiece to Mikhail Gorbachev and invitations for Reagan’s 80th birthday party. 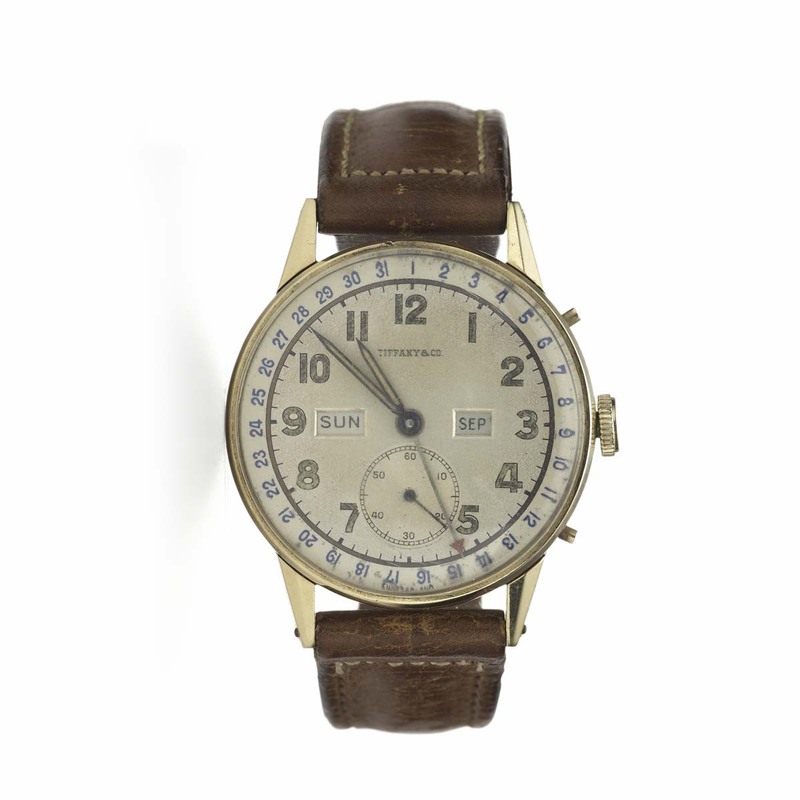 Franklin D. Roosevelt’s son-in-law John Boettinger gave the President this leather, gold, and crystal watch for his birthday, with the inscription “Franklin Delano Roosevelt with Loyalty, Respect and Affection January 30, 1945.” FDR wore this watch during the February 1945 Yalta Conference in Russia. 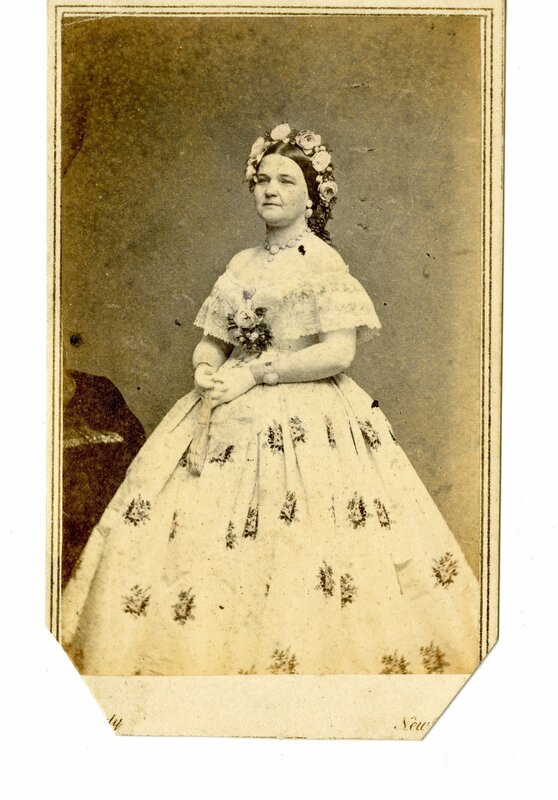 Abraham Lincoln was a frequent Tiffany’s customer and purchased a number of gifts for Mary Todd Lincoln between 1861 and 1864. The necklace she dons in this photo was purchased for $180 as a memento of Lincoln’s inauguration. 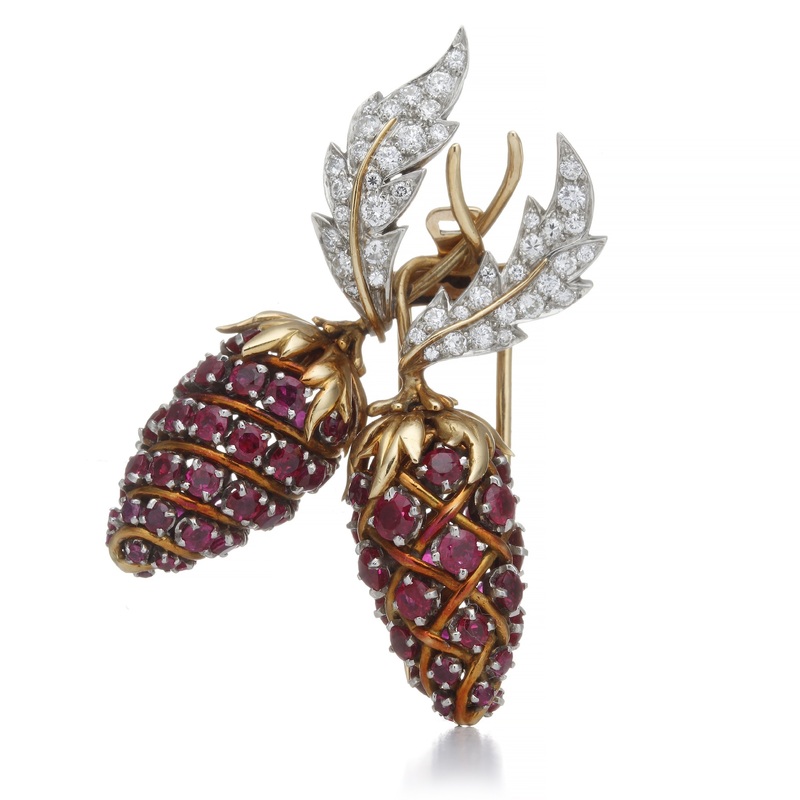 The CityCenter exhibit will feature the gold and pearl piece, along with its matching brooch. 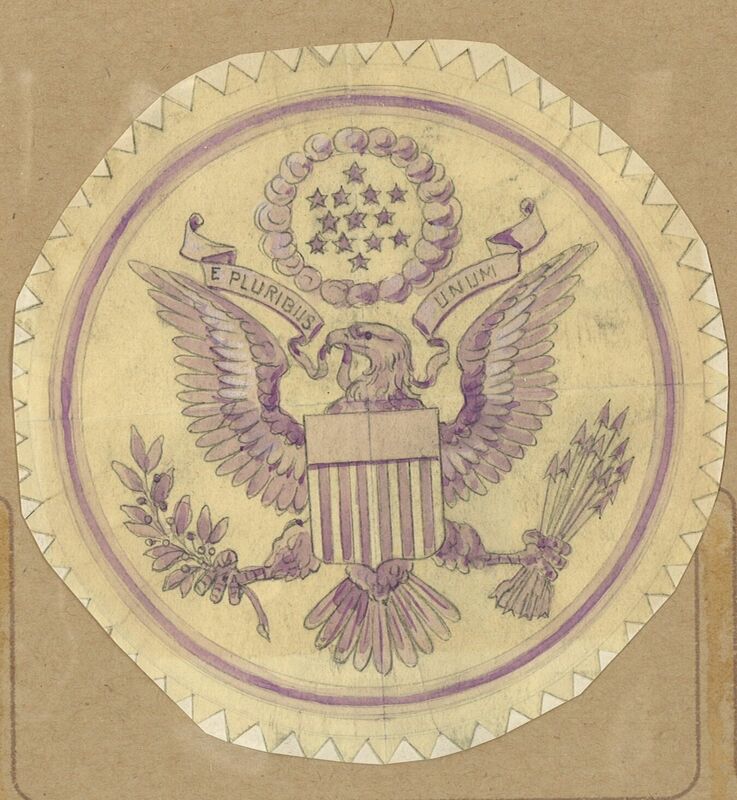 The United States Great Seal as we know it was based on design by Tiffany’s designer James Whitehouse. His die was commissioned in 1882 by President Chester Arthur to correct errors in the country’s existing seal. There are some notable differences between Whitehouse’s seal and the previous seal: For the first time, the crest is encircled above the eagle’s head, the eagle’s legs are straight as opposed to bent, and there are 13 arrows, and an olive branch with 13 leaves and 13 olives. A few of the original die, used for 17 years between 1885 and 1902, will be on display in the exhibit. Tiffany & Co., 960 New York Avenue, Northwest. The exhibit will be open to the public through the end of April.